This year's annual "rattlesnake roundup" in Whigham, Ga., is attracting more than just snake hunters. Conservationists and animal activists are also paying close attention, demanding that the event celebrate snakes instead of killing them. Set for this weekend, the roundup targets the eastern diamondback rattlesnake, the largest rattlesnake in the world. The event doesn't take an enormous number of snakes - a few dozen were killed last year. That being said, they still aren't a good idea, says David Steen, a herpetologist at Auburn University's Alabama Natural Heritage Program. "However, capturing - and eventually killing - these wild animals encourages people to think of rattlesnakes as something of little value, or worse, as something we should get rid of," Steen told The Dodo. The snake killing can happen in cruel ways. Gassing burrows to push snakes out, while illegal, is still done. 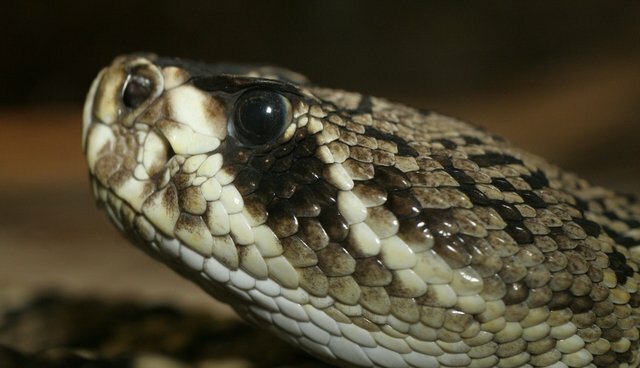 Steen says that this technique has led to declines in tortoises, indigo snakes and, of course, rattlesnakes - an ecologically important reptile themselves. "Eastern diamondback rattlesnakes not only have important ecological roles as predators but they are also a unique part of our heritage," he said. "They occur nowhere else in the world." The Center for Biological Diversity, which has been opposing the roundup for years, presented the Whigham Community Club with a petition of more than 50,000 signatures asking that the roundup be replaced by a wildlife festival where no snakes are killed. A statement delivered with the petition notes that the roundup is the last of its kind in Georgia. Over the past few years, other counties and towns have opted for festivals that display captive rattlesnakes for education instead. It's worth noting that Whigham isn't alone in Southern snake cruelty events - Opp, Ala. holds its own "rattlesnake rodeo" every April.